La Casita nueva # 2. 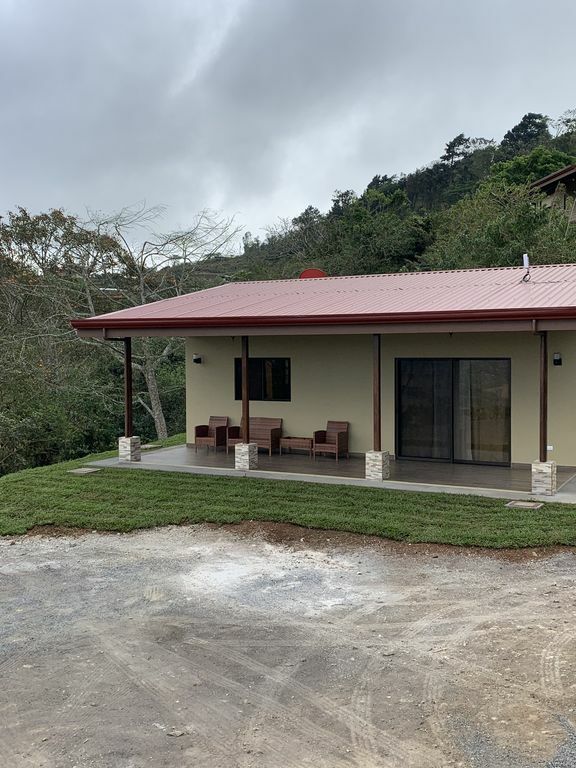 La Puerta del Cielo Cabins, is a complex of 8 new houses built in a track of land of 8 Acres, about 3 hectares in 2017. It is a new concept of houses especially designed for a peaceful retirement in Costa Rica, it is just located at 6 kilometers from San Ramon de Alajuela Downton, where you can find: Hospitals, Universities, Shopping Centers, Banks, Museums, Restaurants, Sport Bars, Libraries, Schools, Churches, movie theaters etc. stove with conventional oven, microwave with exhaust fan, kitchen island, granite countertops and all the necessary utensils and small appliances, like; electric pan, coffee maker, blender, toaster, pots and pans, rice pot etc. Hot water on demand is available through the house and a huge private laundry room with a stackable W/D and storage space, wireless home alarm system with remote control, and more and more. Monthly rent based on one year lease agreement is: $1,050 for our two bedroom two bath or $950 for the two bedrooms one bathroom all inclusive.